Please select a size. EU 37 - Low Stock Please select a size. 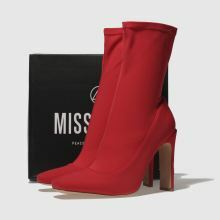 Missguided craft the perfect mid-calf sock boot in a bold red colourway, helping you make a statement anywhere you go. 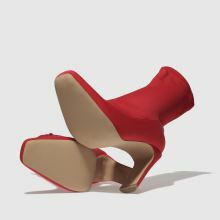 A side zip ensures this man-made profile is easy to wear while a slender 11cm block heel makes for an elegant, stylish finish.